How Long Does a Brake Master Cylinder Last? The fluid that flows through the braking system in your car is what helps to provide the pressure needed to stop a car. Without the proper amount of brake fluid in your car, it will be nearly impossible to bring it to a stop. The master cylinder houses the brake fluid and disperses it to other parts of the braking system when needed. 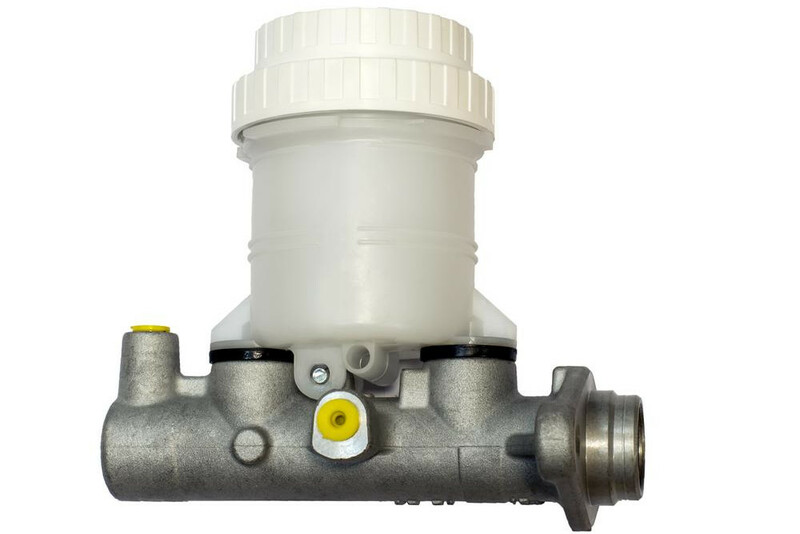 Usually, the master cylinder will have a reservoir where the fluid is housed. The master cylinder is only used when the brake pedal of the vehicle gets pushed down. Not having enough brake fluid in the master cylinder can be very damaging to the whole braking system. The master cylinder is built to last as long as the car does, but usually does not quite make it that far. There are seals in the master cylinder that can become dried out and brittle as time goes by. Without properly working seals, the master cylinder may begin to leak. Another factor that can lead to the master cylinder breaking down is the constant use that it gets. Most drivers will use their braking system constantly when driving. This never ending use will usually lead to the master cylinder wearing out and needing to be replaced. Having low brake fluid due to a leaking master cylinder can create a lot of damage, which is why getting the brake master cylinder repaired or replaced quickly is important. The warning signs that your car will give when the master cylinder is damaged should not be ignored. Q: Car tries to pull forward after coming to a stop. Q: Brake pedal is going to the floor. Ive changed master cylinder and bled system. No help.